Grammys season has officially begun, and more than ever before, the world of mantra music represents. More than a dozen artists in the “non-genre” of kirtan/chant/yoga music are on the first-round ballot for consideration to be among the 57th Annual Grammy Award Nominees for Best New Age Album. The buzz started a week or so ago on social media, when Jai Uttal announced that his “Return to Shiva Station” was among those being considered for nomination in the Best New Age Album category. Next, Sean Johnson and the Wild Lotus Band put it out that their latest release, “Unity,” is also being considered. Bit by bit, word came forth of other artists whose offerings are also on the list of qualified entrants that members of the National Academy of Recording Arts & Sciences (NARAS) will vote upon to decide who gets the coveted Grammy Nomination. This got us thinking: who else is on that list? And what exactly does that mean? Essentially, it means that you’ve passed the basic entrance exam of submitting an album in accordance with the Academy’s fairly rigid guidelines. It means that you are “on the list” — your album is officially entered on the ballot that was sent on Oct. 16 to 12,000 or so members of NARAS. Considering there were at least 300 submissions that didn’t make that cut, we’d say Congratulations to anyone who made it that far. As for this year’s first-round entrants, well, what can we say? Just look at the diversity within that list. Jai Uttal is back in the Grammy pool with “Return to Shiva Station” (read our review here) and KD is back with “Kirtan Wallah.” New to the Grammy ballot are Sean Johnson and his cohorts, Alvin Young and Gwendolyn Colman, aka the Wild Lotus Band, for their epic and long-awaited “Unity.” All Grammy-worthy, IMHO. The other chant-world luminaries on the list are Deva Premal, Miten and Manose’s “Mantras for Life,” a collection of practical-oriented mantras done in repetitions of 108, and Snatam Kaur’s “Light of the Naam,”a sequence of traditional Sikh greet-the-day chants. Of course, that’s just the beginning of this list of Grammy hopefuls. We fell in love with Steve McNamara’s Shakti Guitar when we heard him play it live at Ahimsa Fest last year (and we missed him there this year), and are continuing the love affair with the album, a soundscape of acoustic comfort music that’s easy to snuggle up inside. Patrick Bernard, a sonic chameleon of sorts and, with 20+ albums, practically an icon in the world of New Age music-therapy, melted our hearts when we first heard him at the Montreal Chant Fest — unplugged and pared down to a harmonium and a response singer with kartals, singing to Radha and Krishna with such deep soulfulness it brought us to tears (yeah, I know, Chant Fests will do that…). “Holistic Devotion” takes that core and arranges it up, with an apparent choir of angels singing backup. At the other end of the spectrum are the best little bhakti band in Texas that you may not have heard of yet, the Dallas-based Bhakti House Band, whose “Akasha Blue Sky” oozes with joyful devotional. Remember the name. The Kundalini crowd is well represented on this list, no doubt due to the crack management at Spirit Voyage records. There’s Snatam of course. Then there’s Nirinjan Kaur, who has been whispered to be the “next Snatam” and who collaborated with respected producer/musician RamDass Khalsa and cellist Matthew Schoening for “From Within.” Ajeet Kaur is another Sikh-tradition songstress on the rise who seems to wow everyone who experiences her live kirtans. Jaya Lakshmi and Ananda have a partnership that transcends ordinary notions of “music” into something wholly pure and transcendental, whether they’re chanting kundalini mantras or rockin’ the kirtronica. The same could be said for Mirabai Ceiba’s Markus and Angelika, whom we’ve experienced live enough times to be pretty confident that their “Live in Concert” disc is a little slice of heaven. Ashana is new to us and we like every recording we’ve heard so far. And there’s more…well, we’ve got some homework to do. Our favorite kind of homework. So there you have it, your Mantra Music Guide to the Grammys. Now, who among these entrants would you most like to see win the Grammy for Best New Age Album…who gets your vote? Who would you like to see on that list who isn’t? Stevin McNamara. I would love to see his work get recognized by the Grammys. When I read the list of albums up for consideration, I feel they are all good. I highly suggest people listen to “Shivoham” by Manish Vyas, “At The Temple Door” by Ajeet Kaur and “Unity” by Sean Johnson & The Wild Lotus Band. Actually, anything by Ashana. I have featured these CDs with commentary by the artists on my radio shows. Also, the live double CD by Mirabai Ceiba is outstanding and of course “Kirtan Wallah” by KD. To me this year has been a flood of excellent Sacred Chant music. I also highly recommend, “Sky of the Heart” by Girish. I agree with Gary, this is a great selection and really diverse in terms of the different variations on the kirtan theme within our community. The standout for me is, with no hesitation, Sean Johnson and the Wild Lotus Band’s “Unity”. This is, for me, a truly great, boundary-defying album that has huge potential to draw in new listeners and participants to kirtan. 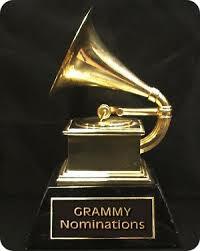 A nomination, not to mention the Grammy, would be a win for all of us! Congratulations. Wishing you all the best luck for next level. Congrats to Prem Joshua n Chintan. good luck to entire list….however I do favor Manish Vyas above all. Kirtan is so traditionally part of India and among this list Manish is the only one who originally is from India with strong spiritual and musical roots. I do love Deva Premal and Miten, Joshua and Chintan and Sanatam Kaur as well as Krishnadas very much.